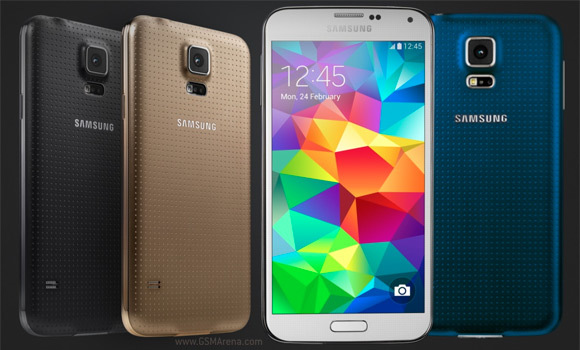 With a quiet whisper Samsung unveiled the Galaxy S5 Plus – a Snapdragon 805 version of the company's 2014 flagship. This is the small late season upgrade, similar to the Galaxy S4 LTE-A that launched late last year. Just like its predecessor the new Plus model brings a faster LTE connection in addition to the improved performance. The Galaxy S5 originally launched with the Snapdragon 801 chipset that included a 2.5GHz quad-core processor. The new processor is also at 2.5GHz but it's a new core – Krait 450. The chipset also has a new generation GPU – Adreno 420 – breaking away from the 3xx series. The other change is LTE Cat. 6, upgrading from Cat. 4. The difference is 300Mbps downloads instead of 150Mbps, the uplink remains at 50Mbps. If you were thinking it, yes, this is the same Snapdragon chipset that the Galaxy Note 4 comes with. The Samsung Galaxy S5 Plus is otherwise identical to the version that launched early this year. It has a 5.1" 1080p screen and not a QHD screen like the Galaxy S5 LTE-A. There's a 16MP camera with 2160p video (no OIS like the Note), 2GB RAM and 16GB storage, the same 2,800mAh battery too (though the new chipset should be more power efficient). Dimensions and weight remain the same, the IP67 rating too. Right now the phone is available only in the Netherlands from what we can tell, Samsung's press site doesn't even have a press release for it. Thanks for sending this in, Gijs!